The Smart Driver is an LED driver with advanced wireless controls, designed to operate and control a wide variety of LED fixtures and LED lamp retrofit kits. The Smart Driver is used when you’re retrofitting, but not replacing, linear fluorescent fixtures. 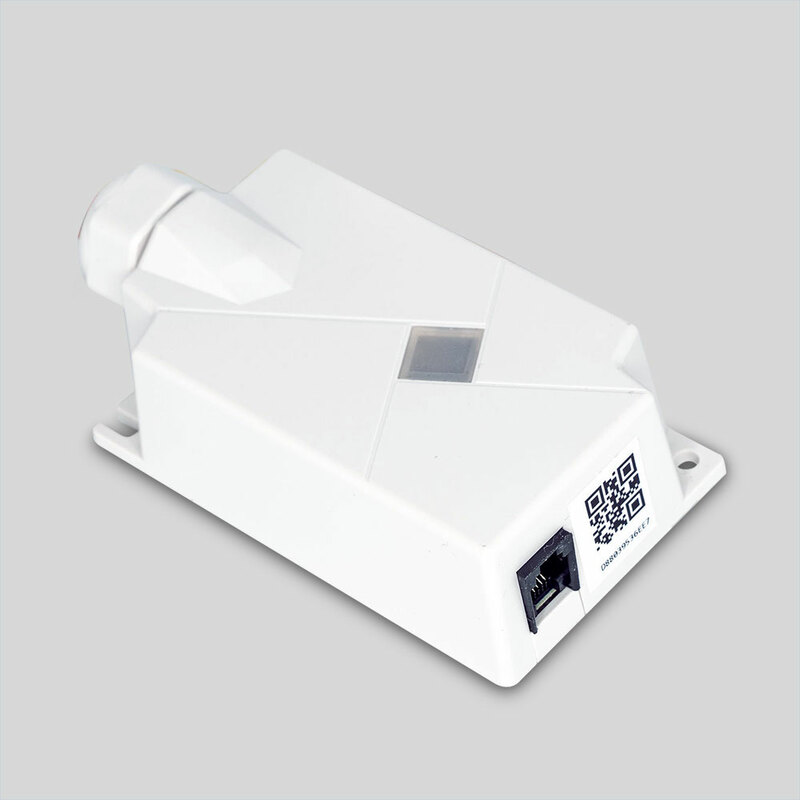 The Amatis 6LoWireless communication technology enables advanced controls and dimming of the LEDs with available sensors and wireless switches. 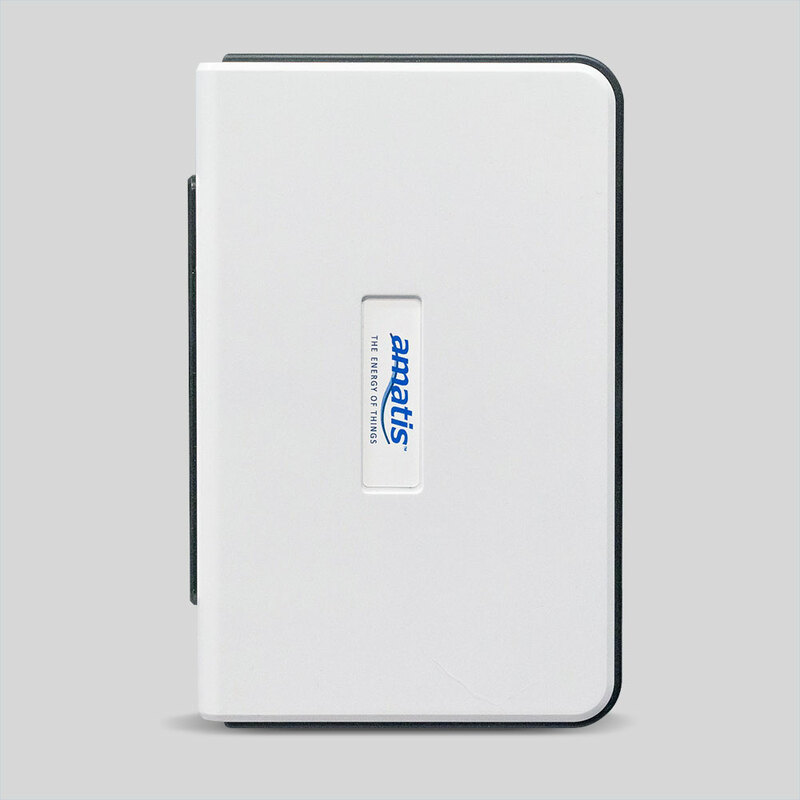 The Smart Driver is connected to the wireless mesh network via the AMBR and the Amatis 6LoWireless protocol. Every Smart Driver includes an RJ12 port designed to connect with the Amatis Controls Sensor2 MLTH. 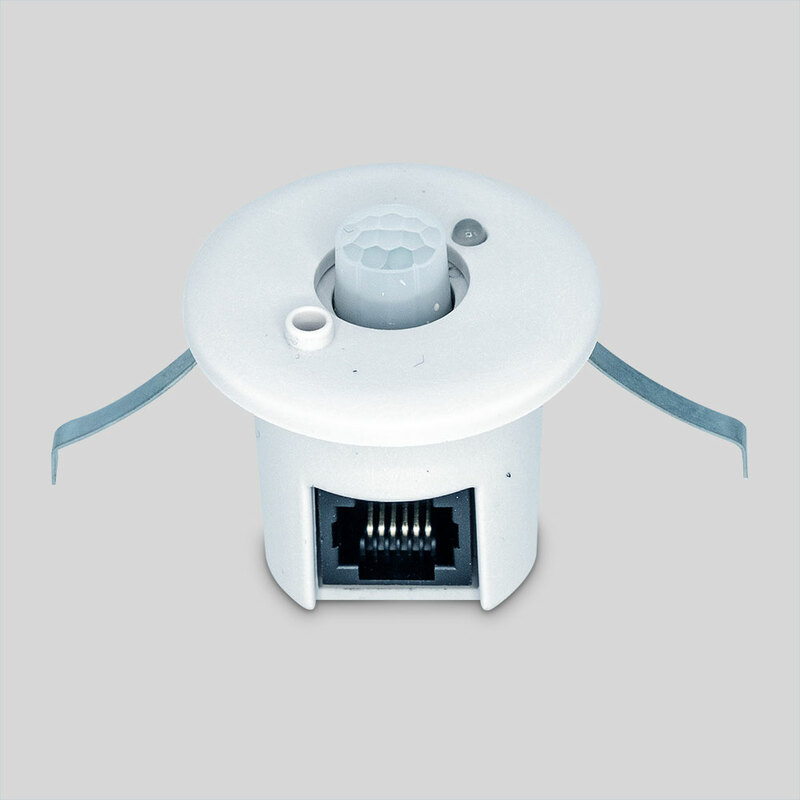 When connected, the sensor can detect occupancy, vacancy, available daylight, temperature, and humidity levels within the sensing area. Then the sensor leverages the Smart Driver’s on-board 6LoWireless communication to transmit that data across the network. The Smart Driver wires in like any other driver. Line (voltage) and neutral wires give power to the Smart Driver. The Smart Driver outputs low voltage DC to the LED tube or tubes, with a positive wire on 1 side of the LED tube, and the negative wire to the other side. Dimming capability is controlled within the Smart Driver, requiring no additional wiring. Amatis offers a few select Smart Fixtures, which come with Smart Drivers pre-installed, making installation as simple as putting in a new fixture. 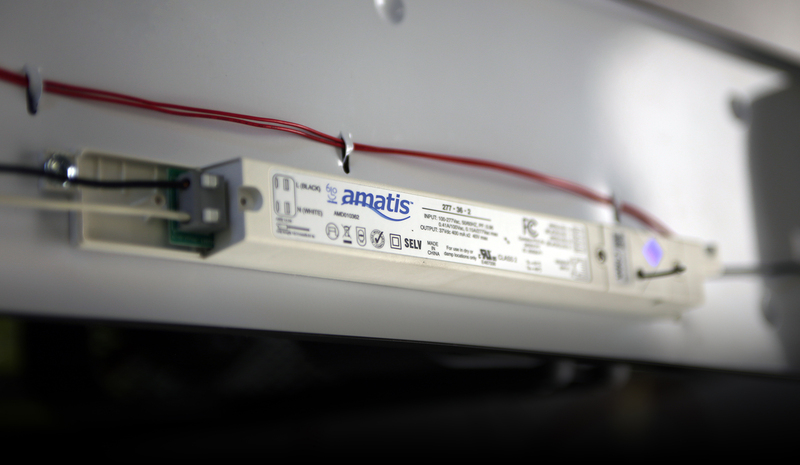 Amatis 5-year warranty: All Amatis LED lighting products and controls come with a 5-year parts and labor warranty. All parts are UL certified. Lamps are DLC certified, therefore eligible for utility incentives. We warrant that our products will be free from defect in material and workmanship for a 5-year period from the date of purchase. Defective products under warranty will be replaced with equal or higher quality product. What do the external lights mean on my Smart Driver? Where is a wiring diagram I can reference? What is the difference between an Advanced Load Controller and a Smart Driver? 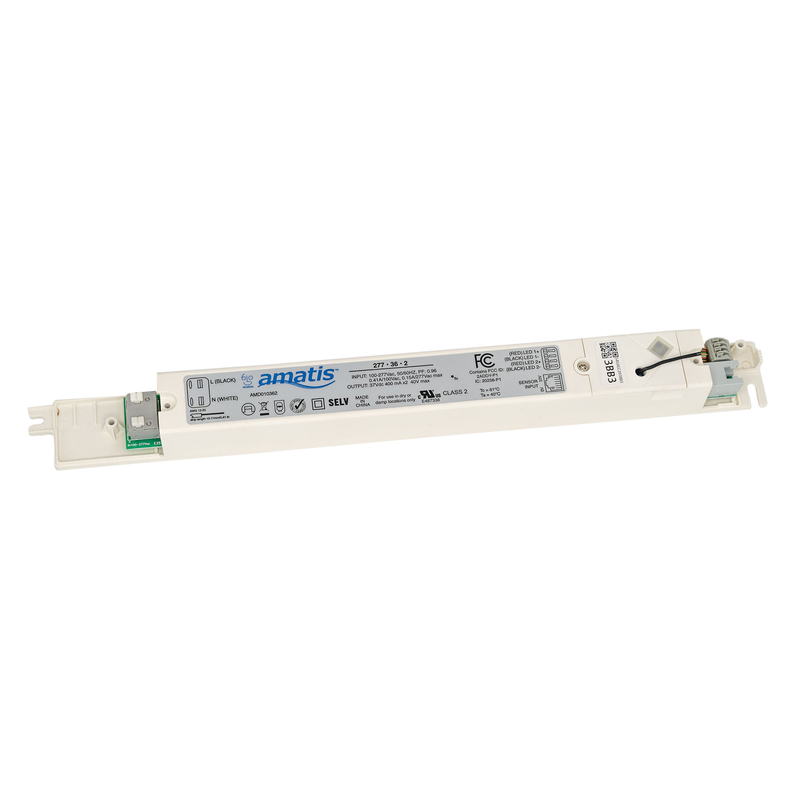 An Advanced Load Controller will generally be used when you’re installing new, dimmable LED fixtures or when you’re just looking to control dimmable LED fixtures. 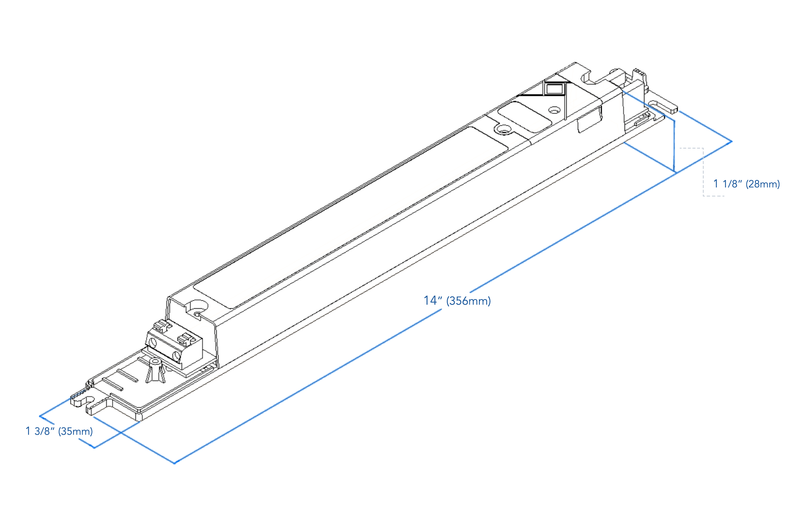 The Smart LED Driver is used when you’re retrofitting, but not replacing, linear fluorescent fixtures. 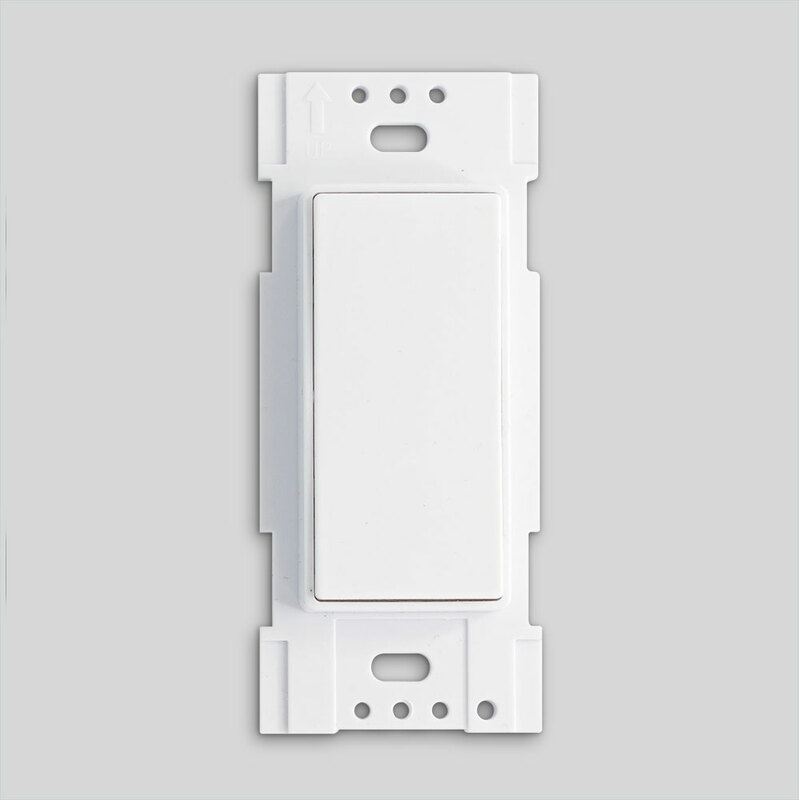 Choose this product when you have a flourescent fixtures and you want the lowest-cost, fully dimmable solution without replacing the fixture. 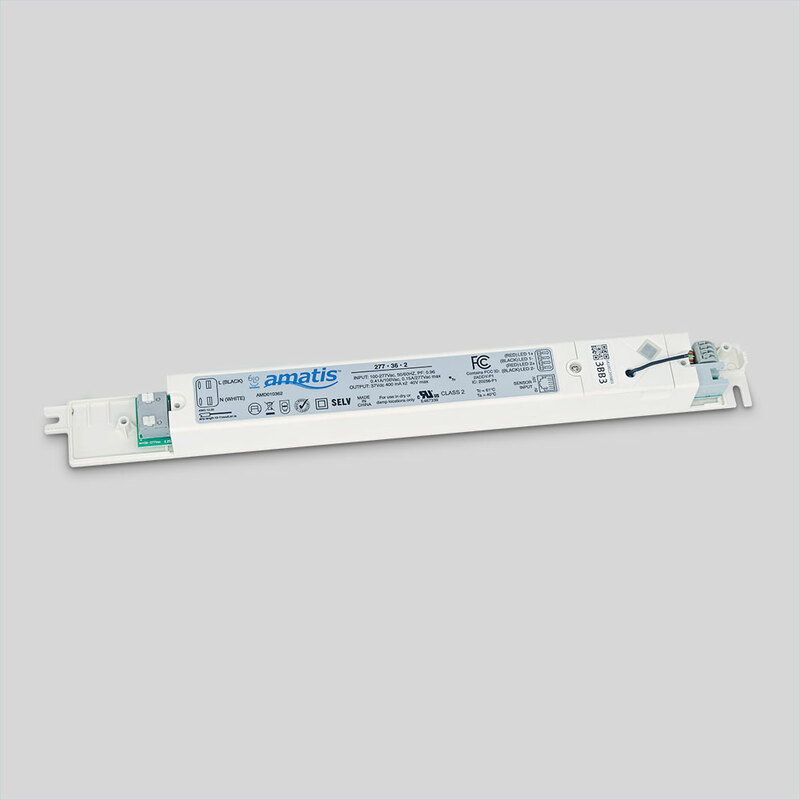 Replace the fluorescent ballast with our smart driver, and the fluorescent tubes with Type C LED tubes. 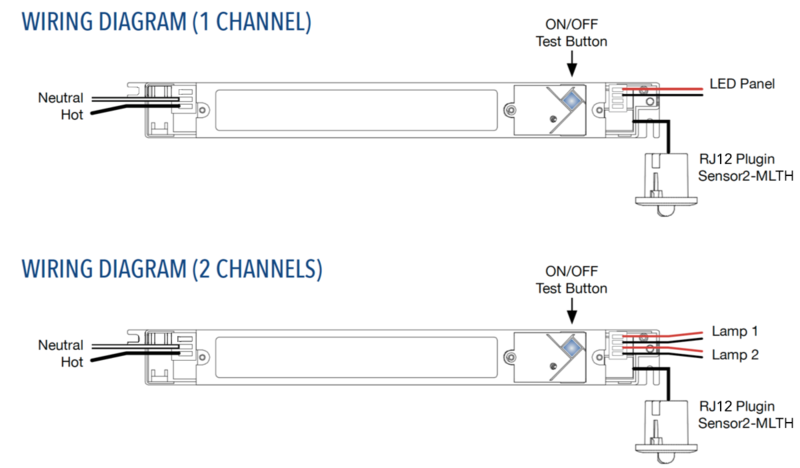 Digital lighting controls really can be simple and reliable, and seeing is believing. 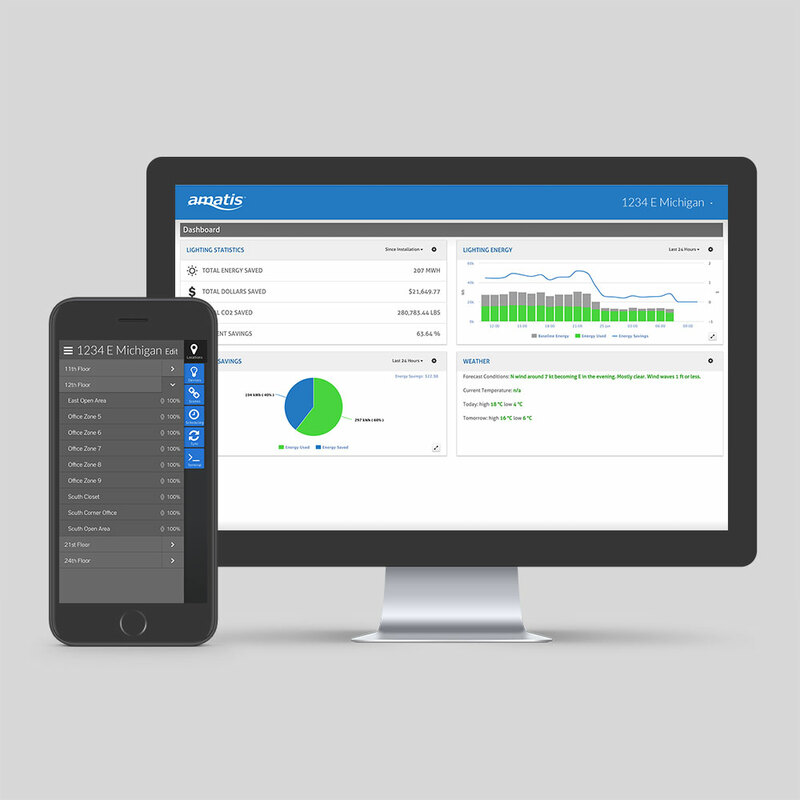 We’re offering a free commissioning training session and controls demonstration kit to install however you choose — in your office, conference room or warehouse. We built the Amatis system because we believe lighting controls can be actually simple and a contributor to sustainability. We aim to improve your work, your environment, and your life. We’ve spent countless hours engineering every element of the system to make sure you can use it, and we’d love to hear what you think.